The Russian-flagged passenger ship Akademik Ioffe ran aground along Canada’s Arctic Northwest Passage with 162 people aboard early on Friday, August 24th. The ship’s operator, One Ocean Expeditions, diverted the Ioffe’s sister ship, the Akademik Sergey Vavilov to assist in the rescue of passengers and crew. In addition the Canadian Coast Guard dispatched two icebreakers, the CCGS Pierre Radisson and the CCGS Amundsen. Weather conditions at the time of the accident were calm and the vessel’s pumps were able to control the ingress of water. Hull damage was fortunately limited to ballast tanks separated from the rest of the ship and the vessel was not in immediate danger, explained Catherine Lawton, One Ocean Expeditions’ general manager. The Akademik Ioffe, a 117 meters long and 18.2 meters wide ice-strengthened cruise ship with the ice-class 1A, was built in 1989 in Rauma, Finland and can accommodate up to 165 passengers and crew aboard. It was navigating close to shore in the Gulf of Boothia in the eastern part of the Canadian Arctic Archipelago when it ran aground. The Ioffe’s crew managed to refloat the vessel and reposition it to safer waters during the evening of August 24th. The Akademik Sergey Vavilov was the first vessel on scene and arrived at 5:50am the following morning, nearly 20 hours after the accident had occurred, and began the transfer of passengers via Zodiac boats. Canadian Coast Guard vessels arrived on scene later on August 25th and coordinated the rescue operation. The Akademik Sergey Vavilov subsequently set sail for the small Nunavut community of Kugaaruk. Here passengers disembarked and were transported onward via the community’s small airfield. 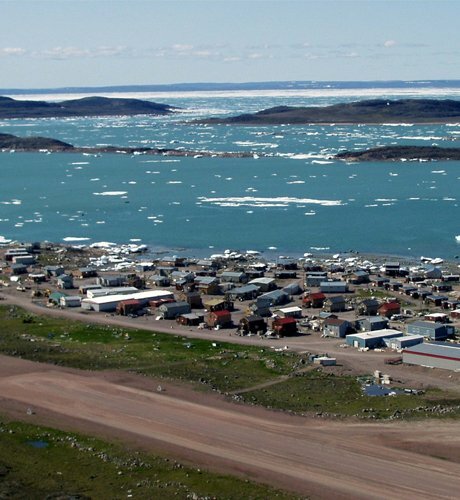 Local officials stressed that Kuugaarjuk’s limited infrastructure would be unable to handle the influx of 100 passengers for any extended period of time. While One Ocean Expeditions quickly rerouted the Akademik Sergey Vavilov to assist, the Canadian Coast Guard stressed that the vessel became overloaded after taking on board passengers and crews from the Ioffe. With a total of 270 passengers it exceeded the capacity of its safety equipment prompting the Coast Guard vessels to remain in close proximity. The NWP has experienced a three-fold increase in traffic over the past decades. Pleasure craft and small cruise ships, such as the Akademik Ioffe, represent the fastest growing type of vessel in the Canadian Arctic with a more than 20-fold increase over the past 25 years. While this category only represented 1 percent of ships in the region in 1990, it now accounts for 8 percent. "It is pleasure craft that concern me the most. Harsh and unpredictable weather can always be a risk – and this combined with variable ice conditions can pose serious safety and navigation risks along the Northwest Passage (NWP)," explains Jackie Dawson associate professor at the University of Ottawa and Canada Research Chair in Environment, Society and Policy. Add to this the fact that only 10 percent of Canada’s Arctic waterways are mapped in accordance to international standards according to the Canadian Hydrographic Service (CHS). The region is home to 36,000 islands and more than two million square miles of ocean – more than five times the size of Norway – and it will take decades to survey it in its entirety. This lack of accurate charts is especially relevant for pleasure craft and cruise ships which aim to get off the beaten path and venture into remote areas. "These vessels tend to travel off of the main shipping corridors where charting is poor and where services are less available," cautions Dawson. The Akademik Ioffe will be added to a growing list of near-misses in polar waters, where surrounding circumstances – weather, proximity to land or assisting vessels – helped to avoid the loss of life. Despite more favorable ice conditions the risks of navigating in remote polar waters remains substantial as the Clipper Adventurer, a 100-meter ice-capable cruise ship, found out in 2010 when it struck an underwater obstacle just over three meters below the surface near Kugluktuk in Coronation Gulf while carrying around 200 passengers. Fortunately, seas were calm at the time and passengers and the crew were evacuated safely with the assistance of a Canadian Coast Guard icebreaker. In the Southern Ocean surrounding Antarctica, the Akademik Shokalskiy was stuck in ice for nine days in 2014 before its 52 passengers were rescued in a complex five-hour airlift rescue. And MS Explorer, a Canadian cruise ship, which sank off Antarctica after it struck submerged ice was fortunate enough that a passing cruise ship was able to rescue all 154 passengers and crew from their lifeboats. These incidents stand as a stark reminder about the dangers of navigating in remote polar waters where the time until the nearest Search and Rescue equipment can provide assistance is often measured in days, not hours.